You didn’t control the asset base that created the income. After you and your spouse pass away, the income stream from the pension fund stops, and your estate gets no cash from the fund. This was even if both spouses passed away early and collected very little of the pension. With the 401(k) and most other qualified plans, the flaws of the pension were in large part put to bed. Now you have the full right to withdraw or roll over your portion of your 401(k) when you leave the company. You control the asset base, so when you and your spouse die, any remaining balance left inside of your qualified plan will go to your estate. It is easier to access your account via loans — assuming you abide by terms laid down by your plan administrator and your employer. The fixed indexed annuity will guarantee your principle is not lost, but your growth is not guaranteed. The growth will depend on which market index or indexes your annuity follows, such as the Standard & Poor’s 500 index (^GPSC). With many annuities, you can add riders. The most common is the lifetime income rider, which for an annual fee will guarantee your future retirement income will increase every year regardless of the market’s rise or fall. As the name implies the insurance company will also guarantee your annual income for the rest of yours and your spouse’s life. This income will be guaranteed even if the underlying funds in the annuity are drawn down to zero. We work with these products so if you would like more information please visit us at Perpetual Pensions or call us to set up an appointment at 586.944.0794. The first and biggest “wealth drain” is taxes. To qualify for tax deductions in that business, the IRS says you must intend to make a profit. When that standard is met, you automatically qualify for dozens of tax deductions that you don’t get as an individual. Most losses and startup expenses can be written off against other income from your job (limits apply, so get a good business CPA to work with you). Realize that nobody else (not even your CPA or tax preparer) cares how much you pay in taxes, so it’s your job to understand how the system work and how to use it effectively. Another set of huge wealth drains are market losses on investment capital that you control. When a stock or a piece of real estate drops significantly in value, it could take years for you to get back to even. And, of course, there are no guarantees that it will come back during your investment lifetime. The less capital you have invested, the less you can benefit from the power of compounding growth. 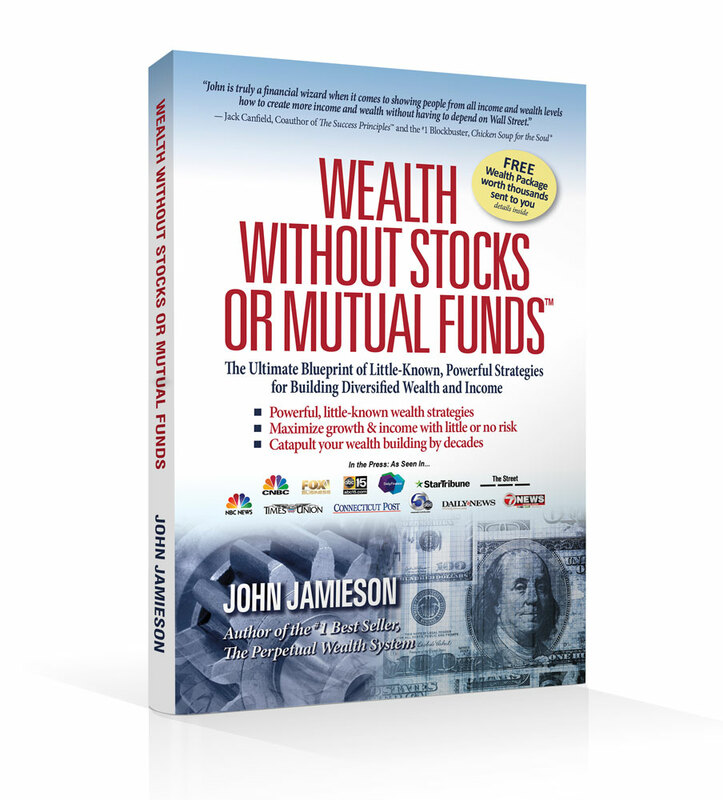 If the compounding curve of your money is broken by market losses or premature withdrawals, it has a massive effect on your final pool of wealth. For example, if you were offered a job that lasted only 36 days and you had two choices on the pay plan, which one would you take? (A) You could be paid $5,000 per day at the end of every day, for a total of $180,000. (2) Your second option is to be paid one cent starting on Day One, but your pay would double each day — be compounded by 100 percent — and payable at the end of those 36 days. the power of the compounding curve is strong over time — if you don’t break it with big losses (which you can’t always control) or withdrawals (which you can). Now, people will tell you that if you can borrow money cheap and invest it in something that has a higher rate of return than the interest rate you’re paying, then you’re using leverage properly. That can be true, but those attempting such a move should be aware of the caveats. Try this simple exercise: Add up all the money you’ve paid out over your lifetime in monthly payments. Then compare that total to the amount of money you have saved for retirement and see which one’s bigger. (If you’re willing, we’d love to hear about your results in the comments section below.) Then think about how to be a lender, and not a borrower. Another massive wealth drain comes from the depreciation of cars, boats, equipment, appliances and most other large assets we buy. Most people will lose more money on cars during their lifetimes than they’ll ever save for retirement, let alone all the other depreciating assets they’ll buy. But there’s a way to make money on these items. Think of your financial life as a big pie. Don’t fall for the old magic trick and focus only on what’s happening to your one slice of the pie (i.e., your investment gains or losses). Instead, pay attention to the whole pie and put a stop to your massive wealth drains. Last week I wrote about how to save boatloads of money buying the car of your dreams — but only after it is two or three years old. This week I want to talk about how leasing a car really works and offer some tips to save you more money on your next car. OK, so what exactly is a lease? A lease is an agreement you enter into to rent your car for a predetermined length of time (usually 24 to 36 months) for a predetermined monthly payment, and for a set number of miles. These payments are always less than the payment would be had you bought the same car on the same day. The lower payment makes the car look more affordable on the surface, but inside that lease agreement are all kinds of terms that can cost you far more than just the payments. To start with, why is the payment less expensive with a lease than with a loan for the same car? When you lease, you’re only paying for the estimated depreciation during the length of the lease rather than the entire loan balance you would pay back during that same time frame. For example, you borrow $25,000 and sign a 36-month loan agreement at 5 percent, giving you a payment of $749, which is a pretty hefty car payment by today’s standards. In contrast, when you sign a lease on that same car for 36 months, your payment might only be $300, which is much easier on your pocketbook. But after three years, you still have a balance to pay off if you want to own the car. This balance is called the residual value, and it must be paid off either with cash or a new loan. Most people won’t have the cash to pay off the car, so if they want to own it they have to take on another loan for several more years to actually get the car paid off. Most people do neither of these things and instead turn in their car and get the next newest model, taking on yet another lease payment — and on and on until they’re old and gray. In essence, a lease allows you to extend your payments on a car for six to eight years, and you end up shelling out far more in payments and interest (yes, there’s a hidden interest rate with a lease) for the same car. Sure, you have a lower monthly payment, but you have many more payments in total, sucking even more money out of your bank account. So instead of just winging it, what if you actually employ a strategy for your next car? If you can’t afford the three-year payment, then how about committing to no more than a five-year note? Can’t afford that either? Then the truth is you really can’t afford that car. Shop for something less expensive, perhaps a model year or two older, and buy that instead. Then once you pay off your car, you should make a commitment not to buy another one for two years. That way you can continue to make your monthly payment — but to yourself — into a tax-free account. According to IHS Automotive, the average length of time people hang on to a car is nearly six years, so you’ll go one extra year for good reason. It will look like this in real numbers: You borrow $25,000 at 5 percent for five years on your next car, resulting in approximately a $470 monthly payment, which you pay for five years. Then you own the car free and clear. But then what will you do with the payment you were making? If you’re like most people, you’ll blow it on junk. But you — you are not like most people. You have a plan. Instead of adding to your junk collection, you could instead continue making that payment from your checking account every month — but now the money goes to a bank (or a pool of money) that you control. If you do this for the next 24 months, you’ll accumulate $11,280, plus the growth on that money (guaranteed and tax-free if you do it right), which would put you at a total of about $13,000 you’ve saved for yourself and your family. That $13,000 in a tax-free account that gets just 5 percent compound interest will be worth more than $35,000 for you in 20 years. Could you do that on every car you and your spouse ever own? If you do, you’ll have hundreds of thousands dollars more for your family in the years to come. According to the Employee Benefit Research Institute, the average American only has $56,000 in savings by the time he’s 65 years old. But by mastering this car strategy, you could have four or five times that amount over your lifetime, depending on when you start. Now some of you are wondering why you still need to make a payment to yourself every month instead of just letting the unused money sit in your checking account. That’s simple: Human nature won’t allow you to truly “save” your car payments unless you get the money out of your day-to-day cash flow and easy access. Money is only truly saved if it’s focused — and not frittered away on other things we really don’t want or need. Focused cash flow is the key to wealth, and the disposition and growth of that cash flow is critical if you want to get ahead and have more options later in life. Have you ever “saved” money on a big-ticket item in your life? Where are those savings now? Precisely! Get in the habit of taking your “savings” and truly making them savings by getting them out of your cash flow account and into a separate tax-free account. In today’s world, automobile ownership is a luxurious necessity. Sure, it’s nice to own a nice car, but over time the costs of doing so are enormous. You need a strategy to stop the wealth drains of depreciation and interest.